Kracker Wonderfully loved treat sticks for Rabbits from Vitakraft. Choose from a number of popular treat flavors. Not to be used for everyday feeding. Special treats for special pets! Kracker Treat Stick For Rabbits has different options and/or variations, please choose below. 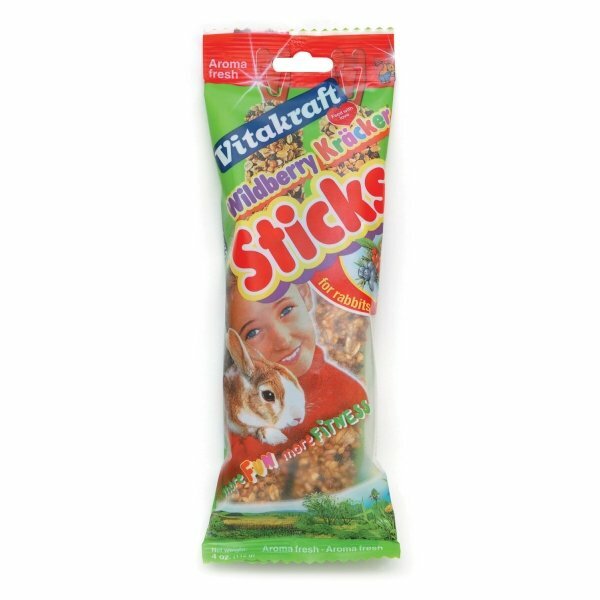 Wonderfully loved treat sticks for Rabbits from Vitakraft. Choose from a number of popular treat flavors. Not to be used for everyday feeding. Special treats for special pets! GRAINS BERRIES 4 oz./2 ct.